It is no longer surprising to see how many HiFi Companies are showing interest in Class D amplification technology. I won't write down a new list, just let me add another name to it: Genesis Advanced Technologies! Genesis is a name with an extremely good reputation among audiophiles, since its early days. Founded in 1991 by Arnie Nudell, one of the most acclaimed HiFi designers in the history of HiFi, Genesis Technologies quickly earned a highly respected position in the HiFi market thanks to some no-compromise loudspeaker design such as the renowned Genesis One. Few years ago, in 2002, Genesis Technologies had been sold to Gary Leonard Koh and the brand name changed into Genesis Advanced Technologies. Gary Leonard Koh needed an amplifier which was capable to drive the new Genesis loudspeakers. The new amp had to deliver extremely good sound while being reliable enough to serve as test bench workhorse too. Various Class D implementations were tested and evaluated before taking a decision. Finally, Hypex UcD modules were chosen. Genesis Advanced Tech. now produces two stereo amplifiers based on these modules, the GR180 we're going to discover below and the GR360. Also available are monoblocks using the same technology. We've already reviewed Hypex-based amplifiers, namely the Hypex UcD-180 AD, back in 2006. This amplifier used the same UcD modules that are the heart of this GR 180. The GR 180 uses two Hypex UcD180ST modules (one per channel as these are mono units) which are claimed to deliver 180 watts on a 4 Ohm load. Genesis has slightly modified the original modules by adding two Genesis-branded caps (see pic above for a direct comparison). These modules come as a ready-to-go package: just add a power supply and they are ready to be connected to the loudspeakers. 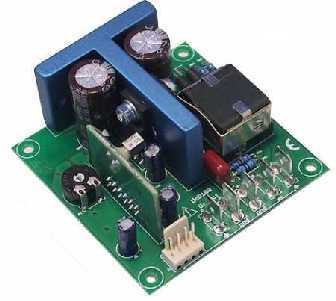 Hence, most of the work has been carried out to design a good power supply for these modules. 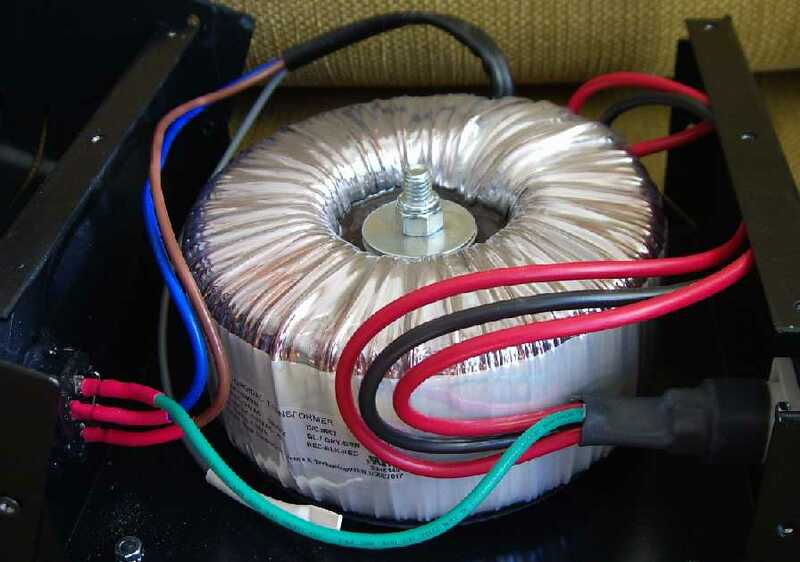 After several tests the designers have decided to use a traditional (non-switching) power supply with a hefty toroidal 1150 VA transformer (supplied by Ningbo Wanji - China). 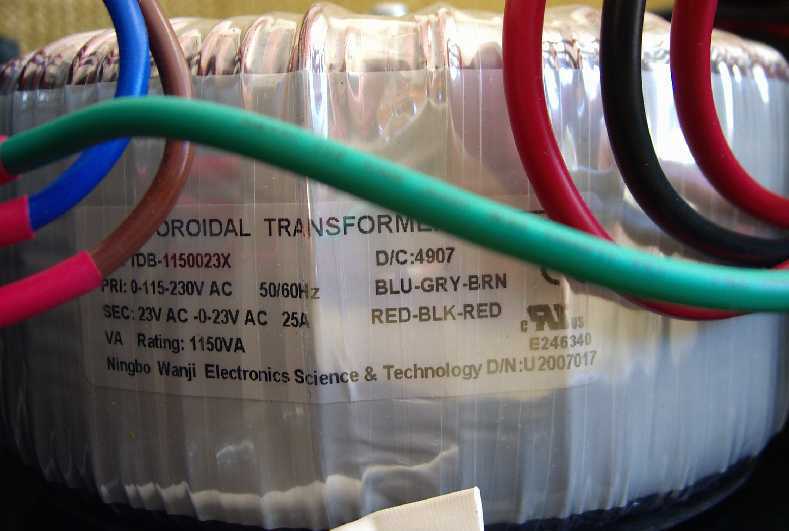 This transformer is installed into a separate box, connected to the main unit via an umbilical cord (by Isotek) via Neutrik Powercon connectors. The length of the cord (approx. 1 meter) helps keeping the PSU far from the main unit. Unfortunately the cable that connects the PSU to the mains is a standard PC-type power cord. 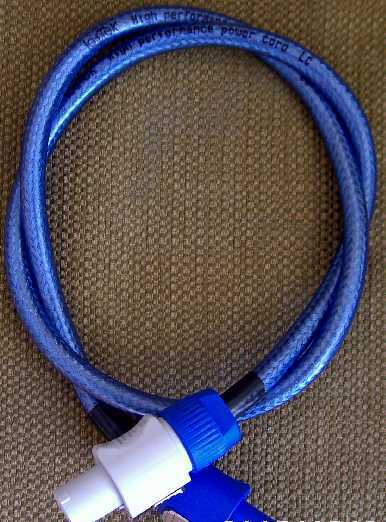 An Isotek mains cable can be supplied at cost. The size of the PSU makes this Class D amp weigh exactly like any traditional linear solid state amplifier. Hence, usual Class D weight (and space) savings are lost. The PSU circuits have been installed inside the main unit and feature even a filter to keep the voltage clean from interferences. DPDS (Dynamic Power Delivery Supply) and SSLV (Super Silent Low Voltage) are two aspects of the PSU design that take several pages of explanation on the owner's manual. I suggest reading the official website to learn the philosophy behind. At a quick glance the PSU makes use of differently sized caps: 2 x 63V/15000uF Panasonic units, 2 x 63V/4700uF Xicon units plus other smaller caps. The aim was to design a PSU capable of reacting quickly to musical program demands (smaller and faster caps for small dynamic variations, bigger ones for the largest dynamic queries). PSU aside, some extra care has been taken to fight internal and airborne vibrations. A sheet of damping material keeps the signal and power cables glued to the top of the cabinet while a transparent acrylic slate, called "Acoustic suspension", serves as "base" for the amp cabinet. This "base" and the amp are coupled by means of neoprene damping feet while the base sits on the floor (or on the rack shelf) by means of adjustable spikes. When you turn on the amp a choreographic blue led lights up at the bottom of the amp and its light gets diffused by the acrylic base below. A weird "Fast & Furious" effect, actually. 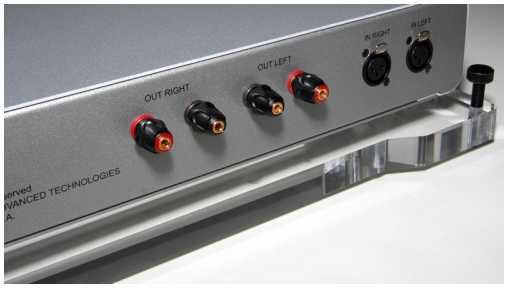 Connections to the outside world include an input for a preamplifier (via RCA or XLR, available on request) and the speakers output binding posts, via solid copper ETI/Eichmann CablePods. 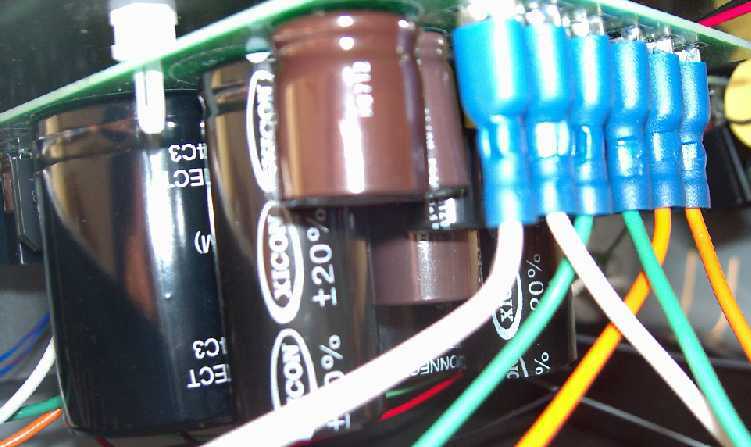 A small switch in the rear of the amp acts as on/off switch. It is a "flipping" switch, so it doesn't have a definite ON/OFF position. It just gives the input, via a relay, to turn ON or OFF the amp. "Better sound" seems to be the reason for this unusual choice. If you think the standard PSU isn't beefy enough you can purchase a more powerful unit, called MDHR (Maximum Dynamic Headroom Reservoir) which costs like another GR-180 (4300 €, in Italy....). Now, please let me comment a little bit these claimed tech specs. First of all they are identical (and it couldn't be any different) to those claimed by Hypex for their UcD 180 ST modules. The first thing that catches my attention is the output power, claimed to be 180 watts on a 4 Ohm load with the 1% of THD. I can't see any good reason to declare which is the power on a 4 Ohm load when most of the loudspeakers offer a nominal 8 Ohm load. Moreover, the power output on a 8 Ohm load isn't available. Moreover I can't understand why, for HiFi applications, one should declare the output power with a so high distortion datum (1% !!!). Reading the modules datasheet immediately explains it all: the output power, at a more reasonable 0.1% THD value, is much lower: 90 watts on 4 Ohm. And if you wish to know which is the output power on a standard 8 Ohm load, with acceptable distortion level, you might discover the real power is 60-70 watts! Inquiring minds at TNT-Audio would like to know which is the output power on a 2 Ohm load and even the peak output power on different loads. These are figures that competitors aren't afraid to declare. Numbers don't tell everything about an amplifier but output power, AT LEAST!, should be declared in a sincere and completely transparent way. Genesis Advanced Technologies isn't the sole culprit, of course, as they rely on the data supplied by the modules manufacturer (Hypex). So the question remains: why has Hypex declared just a part of the truth, namely the most impressive one (180 watt @ 4 Ohm with 1% of THD)? The answer is simple: it is easier to sell 180 watt modules than 60 watt ones. I dare to say I hate this attitude and I consider it not far from the one that generated unrealistic, useless and ridiculously high PMPO power ratings on PC multimedia speakers, for example. Dear Hypex (and dear Genesis), a more "transparent" behaviour would be welcomed since normal customers aren't able to read a "Power vx THD+N" graph on a datasheet. What would you do if a car manufacturer claims unrealistic fuel consumption data without specifying under which conditions these are attained? Or if the claimed top speed is reached after a 20 kms straight downhill? Would you take that car manufacturer seriously? On the other hand designers and marketing men at Genesis aren't 100% innocent as they should have asked Hypex more precise power data, at least. Or, being designers of the amp, they could have extracted those ratings from the UcD modules datasheet, as I did in 5 (five) minutes. I'll let you dear readers decide the reasons why Genesis behaved this way. I don't understand. Genesis products are available worldwide via authorized distributors and dealers (see their website for details). In the US the GR 180 costs 4850 USD which, according to the current money exchange rate (USD/EURO) would become 3450 Euro here in Europe. This is 2000 Euro less than the list price in Italy (!!!). Even considering shipping overseas costs and customs duties this price is still too far from reality. I won't comment any further. Things might be different in other Countries. This GR180 amplifier has been tested, most of the time, against NuForce REF9 SE V2 monoblocks which cost almost the same, share a similar technology (Class D) though differ for the power output, which is higher (180 watt @ 8 Ohm, 300 watt @ 4 Ohm). Funnily enough, the power is exactly the same if one relies to the "claimed" output power of the Hypex modules (180 watts!!!). Before listening to this amplifier I read an interview with the designer, just to understand which was the main "target" of this product. The interview and the owner's manual state that the aim was to produce an amplifier with the sweetness and charm of the vacuum tubes paired with the control and the energy of the transistors. Readers beware! These are the urban myths that any standard audiophile has in mind when he thinks of tubes and transistors. I believe that the sound of any amplifier is the sum of many characteristics and that it is hard to find a general rule for the sound of vacuum tubes and transistors. This, actually, would imply that vacuum tube amplifiers always sound sweet and warm and solid state ones sound dynamic and dry. I have many counterexamples in mind that prove this statement is clearly false. Anyway, getting back to this GR180, it is clear they wanted it to sound warm and sweet, dynamic and punchy, all at the same time. Mission accomplished? Well, mostly yes, I'd say. indeed, the high range is sweet and mild, almost warm, while the bass and the midbass are strong and powerful. It shouldn't be a surprise, then, to re-read our test of the other amplifier equipped with UcD 180 modules. Different reviewer, different set up, almost coincident findings. This implies that the Hypex modules have quite a distinctive sound that doesn't change much whatever you do around them. Investigating a bit more deeply one discovers a harmonically rich mid-high range, where voices possess that "natural" touch many other Class D designs are famous for (original T-Amp included!). Female voices are excellent while male one sometimes lack aggressiveness and "body". Actually, they - from time to time - sound a bit "thin". As an example, take Brian Johnson's voice which should be rough and aggressive while, with this GR180, it gets reproduced in a (too) "gentle" way. Overall, the general behaviour of this amp is a little "laid-back", gentle and relaxed, never aggressive. This is welcomed when playing relaxed musical programs but it becomes "too much of a good thing" when playing rock, for example. Here, the natural aggressiveness and brute force of the genre remains trapped inside a kind of a "velvet glove". On the other hand, the GR180 is more than a simple "velvet glove". It delivers a powerful and fast "iron fist" when required. The bass range is, indeed, rhythmic, articulated and fairly deep. Only the first octave is lighter than the rest of the bass range and it seems it lacks all the power needed to fill the room with seismic sound. After all, we shouldn't forget this is, despite all the claims, a 60-70 watts on 8 Ohm amplifier...it would be unfair to expect the same "first octave" performance of the, say, NuForce REF9 SE V2 amps which can deliver 180 watts on 8 Ohm and 300 on 4 (and much more during peaks!). Hence, for example, on the synthetic subterranean bass lines of Massive Attack, the GR180 fails to create that sense of fear and drama that is the key to fully enjoy this band strange atmospheres. Percussive sounds, instead, are mostly tight, powerful and punchy. In the transparency department, the GR180 confirms the usual excellent performance of other Class D designs: tiny and hidden sounds are offered to the listener in an almost magical way. These are clearly audible but the sound never gets hyper-detailed and fatiguing. Hence the amp sounds natural, relaxed and detailed...all at the same time! Don't let the relaxed attitude fool you: indeed, overall dynamic performance is very good though it can't rival with the explosive character of the NuForce REF9's, which are much more powerful and punchy. To be honest, without a direct comparison, it would have been difficult to complain about the dynamic performance of the GR180. Even at very high listening levels the Genesis retains its self-control and precision. This helps confirming the general feeling this amp delivers while playing: it is so easy on the ear that listening fatigue, even at high SPLs, doesn't raise its ugly head. It is well known that even the excess of dynamics can create listening fatigue on certain listeners. For this reason I'm sure this GR180 can satisfy different listeners, sounding "solid" but never rough. Finally, in the microdynamics department the GR180 performance is excellent: micro level variations, for example on percussive sounds, get reproduced with extreme detail and precision. This is the area where this amplifier sounds less "tubey", if you know what I mean. It is precise, correct and detailed as any solid state amplifier is meant to be! Again, the details aren't shot "in yer face"...they simply find their place inside a full, amazing picture of the musical event. The "laid-back" attitude can be found even when analyzing the "imaging" capabilities of this amplifier: the sound always remains behind the loudspeakers and never in front of them. Laterally, the image doesn't extend much (again, REF9's do better) but this time the difference is really negligible. An amber-like light pervades the whole soundstage and helps confirming the already cited "velvet glove" effect. Instruments, players and singers appear well focused, stable and easy to "spot" inside the 3D scene. Geometrically, the 3 dimensions (width, height and depth) appear proportionally correct with no preference for one of these. This GR-180 costs 5450 € (list price in Italy) that quickly become 10.000 (that's 14,000$ nowadays! WOW!) adding the MHDR optional PSU. Honestly, I refused to test the amp with this extremely expensive power supply. Especially considering the local list price this amplifier is definitely too expensive, especially if you consider that the heart of it all are two modules that cost 80 € each (110 € the upgraded AD version, with the AnalogDevices 8620 chipset). Googling around it isn't impossible to find these modules for as low as 50€/each. This is the price for you regular one-time customer. Now imagine how low can become the "industry price" i.e. when you are a manufacturer purchasing hundreds of units at the same time. Oh yes, you might say the UcD180 modules have been modified by Genesis...yes, you'd be right...but the mod consists in soldering two different caps. Let's say this mod makes the price of the modules double. Still, we're talking of a gross total which is close to 150 €. The amplifier has been designed and built "around" these modules: PSU, cabinet and acoustic suspension. Even considering these "add-ons" it is very hard to understand why the final result exceeds 5000 € (or approaches 5000$ in the US, if you prefer). That said, it should be remarked that the finish of the main unit is good, and so is the acoustic suspension, a really well-made job. Unfortunately, the external PSU unit is ugly as hell and even grossly finished. Indeed, after all the techno-babble about vibrations control you might expect the same care to be taken on the PSU, which is the noisiest part of an amplifier. 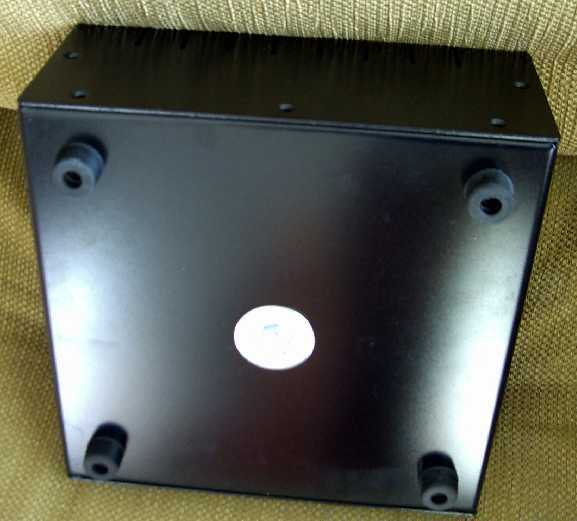 Sadly, the black cabinet hosting the toroidal transformer isn't acoustically damped: its interface with the floor is made of 4 stiff, cheap rubber feet which can be found on extremely entry-level components (see pic). A simple rubber/neoprene washer between the toroid and the cabinet would have reduced vibration noise propagation. 3 or 4 sheets of damping material would have reduced resonances of the metallic structure: when a toroid is noisy as the one used on this amplifier you have to put it inside a well damped environment, so to avoid noise being "amplified" by the (resonant) metallic walls of the cabinet. Total cost of the "treatment"...50$ all inclusive. Other complaints: first of all the toroidal transformer is noisy. Its hum is audible especially at low listening levels. Irritating, to say the least. In an interview with the designer I've read this is a "known" problem. It is strange the other reviews of the GR180 that can be found on the net don't cite this fault. Perhaps the unit is less noisy when hooked up to a 110 Volts mains supply (mine was 230 Volts). Secondly, plugging the mains cable into the mains wall socket made the mains protections switch on for no apparent reason. The Italian distributor has told me this was caused by the high peak power required to charge the caps of the PSU but I suspect there is a problem somewhere else in the PSU because I've hooked up even beefier power supplies without experiencing any problem. Moreover, the reason of the "fault" wasn't an electrical overload of the mains line (I have a digital display that explains the amount of "overcharge", if any). It should be remarked that I have two separate mains lines for my listening room, one for "sources" and one for "amplification". These dedicated lines have been built with the best components available and have NEVER given me a problem. I've also tried to switch on the amp while any other appliance was turned off. No way. Several attempts had to be made before being able to switch on the amp. Irritating, especially if you consider the price tag. A third complaint refers to the interferences this amplifier caused to other components of my system. In other words, the same "transformer hum" could be heard directly from the speakers. It happened with the NuForce P-9 preamp (on the left channel only) and on both channels when I've switched on the Lehmann Black Cube SE + PWM phono preamp. I've tried anything to cure the problem: new cables, different reciprocal positions of the components and, of course, different mains inlets. The noise has disappeared connecting a Burson Audio preamp and avoiding to use the turntable. This is the first time I experience such a problem with my HiFi set: I've tested any kind of component, even amplifiers with lousy and cheap (hence noisy) switching power supplies. Nothing but silence. Hence, I suspect the cause of the hum has something to do with the GR180. The "packaging" of the amplifier is accurate, the (3, one per each unit!) boxes are solid and re-usable. The owner's manual is exhaustive and well written (English only!) but its appearance is on the "cheap" side: standard A4 paper sheets hold together with plastic spirals, while the cover is just a sheet of transparent film. The manual is very detailed with respect to the power supply and the acoustic suspension thing but says almost nothing about the real "heart" of the amp, the Hypex modules. Why? 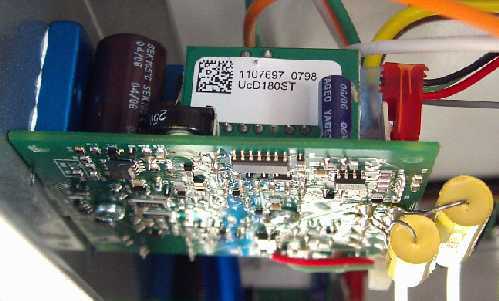 They are cited as "modified Class D power modules". Not a single word on the manufacturer of the modules or on the principles of the Class D implementation by Hypex (each Class D design is different). This approach worked well 20 years ago when the Internet wasn't available and the information could be retrieved only from the official brochures or magazine tests. Nowadays information runs fast worldwide so the marketing technique to "hide" technical details doesn't work well. In my opinion. Marketing men might disagree. I've found the GR180 to be ridiculously heavy. 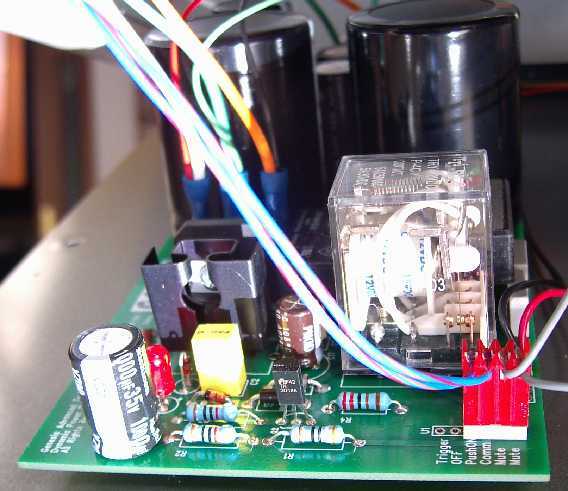 Class D amplifiers, generally, are extremely lightweight, thanks to small boards, modules and switching power supplies. The GR180 uses two Hypex UcD180 modules for a total weight of 180 grams, then add 500 grams for caps and PSU boards. The rest (the main unit weight in an impressive 10 kgs!) is just...pure heavy metal. You might think that vibrations control is easier on heavy cabinets. It isn't exactly so, light and well damped structures work better (F1 cars, airplanes etc.). I think the guys at Genesis have designed such a heavy unit mostly to impress the customer. We all know audiophiles judge amplifiers just by weight (sadly). Anyway, all of this "heavy metal" greatly reduces one the advantages of Class D technology: the possibility to build small and light amplifiers that can make handling and shipping easier (and less expensive). Lighter shipping also means less air pollution, for example. more speed and stronger overall dynamics. First of all, check the mains transformer hum in a silent environment. This way you can decide whether its noise is tolerable or not. I still believe a noisy transformer is a no-no, especially at this price levels. Secondly, in order to avoid electric "shocks" on the mains, keep the transformer always hooked up to the wall mains inlet. Also, keep the outboard transformer as far as possible from the main unit and the rest of the HiFi system. A longer umbilical cord would have made things easier. Feel free to test different (and better) mains cables as the one supplied is just a standard PC-type cable. Try different mechanical interfaces between the acoustic base (which should be perfectly leveled) and the shelf of your HiFi rack. For example you might find the Atacama Spike Shoes a good compromise. As far as it concerns the right partners to use, feel free to experiment but, first of all, ask to evaluate the GR180 with your preamp, so to be sure to avoid hum and noise buildup. As for loudspeakers, it seems the GR180 can drive even difficult loads. In the worst case scenario, you can consider the beefier GR360 instead. Generally, read carefully the owner's manual before using the amplifier. There are certain things that should be accurately avoided (turning on the amp without speakers etc.). As you might have understood, the Genenis GR180 amplifier generated mixed feelings during this test. Too many faults (mains incompatibility, hum, noise...) and a too high price tag (especially considering the Italian MSRP) make this amp less desirable that it might be. On the other hand its sound is exactly as claimed, easy on the ears while being solid and precise at the same time. It is a Class D amplifier...but please leave your prejudices at home when evaluating it: there's no trace of "digital harshness" or "cold sound" - sometimes referred to Class D technology - in this Genesis GR180.